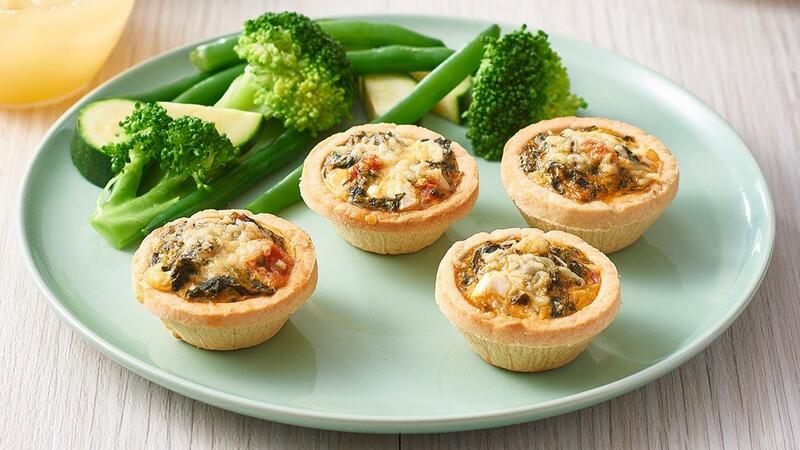 Quiches are always a crowd favourite. The delicious combination of KNORR Pronto Napoli and KNORR Garde d'Or Hollandaise Sauce works beautifully with all the filling ingredients in this recipe. Heat a frying pan over low heat, add oil, then spinach and cook until liquid has evaporated from the spinach. Allow to cool slightly. Combine the spinach with KNORR Pronto Napoli, KNORR Garde d'Or Hollandaise Sauce, eggs, feta and basil. Spoon the mixture into tartlet cases and sprinkle with parmesan. Bake at 175C for 25 minutes or until set and golden. Serve with salad or steamed vegetables.